Grains of paradise (botanical name Aframomum melegueta) is an herblike perennially growing plant that is indigenous to the marshy habitations the length of the coast in West Africa. This species belongs to the ginger family - Zingiberaceae. Occasionally, the stems of grains of paradise may be small and they generally bear marks of fallen leaves and scars. On average, the leaves of this plant are 35 cm long and 15 cm broad, having an excellent arrangement of the vascular system. Grains of paradise flowers are attractive and fragrant. While the upper part of the flowers has a rich pinkish-orange hue, their lip is orange-colored. The fruits of this herbaceous plant enclose many, minuscule golden reddish-brown seeds. 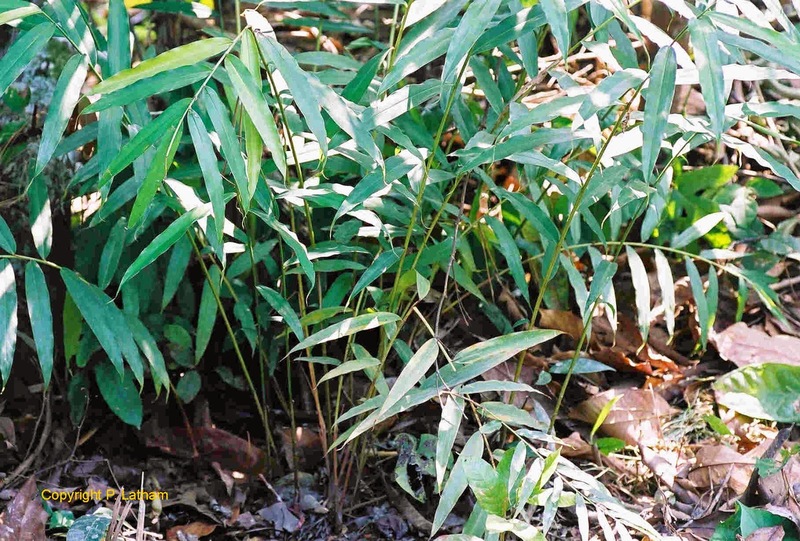 For several centuries, people in West Africa, native place of this herbaceous plant, have used the seeds for several purposes, including medicinal and culinary. Even in Europe, people have been using the seeds since the 800s. Currently, the seeds are used extensively in the northern regions of Africa and to some extent in Europe. They are available in a number of stores that specialize in selling spices. Alternatively, you may also order them through traders importing spices. Similar to cardamom, the grains of paradise is also used in the form of a spice, mainly owing to the pleasing flavour of the seeds. The grains of paradise seeds are pungent or spicy, but not extremely bitter to taste. These days, this fruit is primarily employed to add essence to spirits, wines and beer. However, during the Middle Ages this was a very popular spice in Europe as well as many other regions of the world. Notwithstanding the popularity of the spice in the past, currently very few people outside the African continent are familiar with grains of paradise. However, grains of paradise is still a popular spice in Arab cuisine, especially Tunisia and Morocco. While many people have used this fruit as a substitute of black pepper, some have also been chewing it, especially in cold weather conditions with a view to keep their body warm. Moreover, the seeds of grains of paradise are commonly added to veterinary medicines. Grains of paradise are also known for their medicinal properties. Their peppery nature make them a natural as a warming agent and stimulant, and they are also known as a digestive aid, a diuretic, and were used in veterinarian medicine too. Grains Of Paradise (Aframomum Melegueta) are native to West Africa. The spice was popular in the Middle Ages, first as a substitute for pepper, and then later to flavour batches of beer with. Many writers say that when Grains of Paradise first arrived in Lisbon in 1460, as a substitute for black pepper, they caused the Portuguese stock market to crash. There was, though, no stock market in Lisbon until 1769, so this is not completely true. What did happen is that the price of pepper on the open market collapsed, and many of those who had hoarded it at high prices were financially ruined. The same shipment also brought slaves from West Africa. A few years later, in 1482, the Portuguese had a man named Diogo d'Azambuja build the fortress of Sao Jorge da Mina in the Gold Coast to protect both the slave trade and the trade in Grains of Paradise. Another wrinkle to the "first arrived in Lisbon" story is that it implies "first arrived in Europe." Grains of Paradise, however, had been in Europe long before the Portuguese brought them, being brought in through trade with the Arabs. In fact, in the 1200s, they sold for about half the price of peppercorns. People in Africa as well as nearly all other tropical regions cultivate grains of paradise (A. melegueta). They have been using the fruit of this species to treat various health conditions. However, currently this fruit is seldom used outside its native regions. The grain of paradise is one plant that is exclusively used in traditional African medicine. Although the essential oil obtained from grains of paradise is available, it is very difficult to find. The attributes of the essential oils are akin to those of the grains of paradise fruit. However, the oil is usually preferred for its aroma. In many African countries, people use the grains of paradise fruit in the form of an aphrodisiac, in addition to a remedy for leprosy and measles. Grains of paradise is interesting to note that in laboratory studies the extract of this fruit has shown to augment sexual arousal as well as sexual behaviour in male rats. In addition, the extract of A. melegueta is also employed to reduce bleedings or hemorrhages, especially those related to childbirth. Grains of paradise also contains a number of other phytochemicals that possess purgative (potent laxative), anthelmintic or anti-parasitic (effective against worms and others), galactogogue (increases breast milk production), and hemostatic (a medicine that purifies the blood) properties. This herbaceous plant has also been found to be effectual in treating the deadly condition known as schistomosiasis, which is a main predicament for medical authorities in many places in Africa. The fruit of grains of paradise is also known to be effectual in treating intestinal infestations and infections. Some people also use this plant’s fruit to cure indigestion and calm heartburn. It is interesting to note that the fruit of grains of paradise is among the plants that scientists are studying currently to determine if it can be used as a substitute for allopathic medications in the tropical regions, where people are constantly endeavouring to discover inexpensive as well as more easily and locally available phytomedical alternatives to treat the common health conditions prevailing in these regions. The use of grains of paradise is quite familiar in Chinese herbal medicine, wherein they are sometimes used as a substitute for cardamom, which is available more readily. In Chinese herbal medicine, grains of paradise are recommended for treating intestinal uneasiness, vomiting as well as pain and uneasiness during pregnancy. In West African traditional medicines, people also use the seeds as well as the rhizomes of Aframomum melegueta in the form of aphrodisiac, diuretic and even stimulants. Studies undertaken on rats in laboratories also endure the view that grains of paradise seeds and rhizomes augment the sexual urge (libido), especially in rodents, and they also possess the aptitude to alleviate pain as well as inflammation. Therefore, grains of paradise is believed that they may be useful in treating arthritis. Nevertheless, further studies are necessary; especially they need to be examined on humans, before using them to treat arthritis. The seeds of grains of paradise may be used in the same way as you use black pepper. You may either ground the seeds during cooking to infuse their flavour or use them on the tableside to relish an enhancement of spice. As the taste of these seeds can be so different and compared to so many things, you may employ them to augment as well as contrast the primary flavours of any dish. If you desire, you may accentuate the seeds’ citrus flavours by breaking some and adding them to garnish salads. The seeds have a somewhat herbiness, which can be augmented by combining it with herbs like thyme (preferably lemon thyme), sage and rosemary. You may also add them to curries as well as rich sauces to augment their flavour. They are also used in gingerbreads and spice cakes. Grains of paradise seeds possess sweet warmth. The grains of paradise seeds impart a peppery heat to all these foods, but it is less punchy compared to the black peppers, but never less palatable. Hence, most people have a preference for these spicy seeds. You may also crush some seeds and use them in combination with vinegar and garlic to rub the mixture on chicken, lamb or pork prior to roasting. 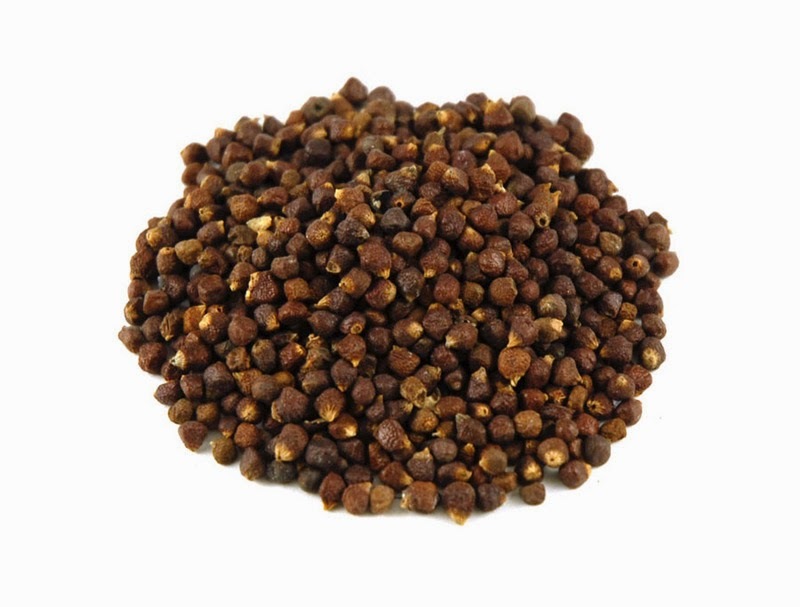 Most importantly, grains of paradise seeds can easily replace black pepper. Grains of paradise seeds are considered to be safe for use by nearly all adults. Nevertheless, the use of these seeds may sometimes result in irritation or pain in the stomach, intestine as well as the urinary system. Pregnancy and breast-feeding: Not enough is known about the use of grains of paradise during pregnancy and breast-feeding., it is advisable that they should stay away from these seeds to be on the safer side or contact a doctor before using them.